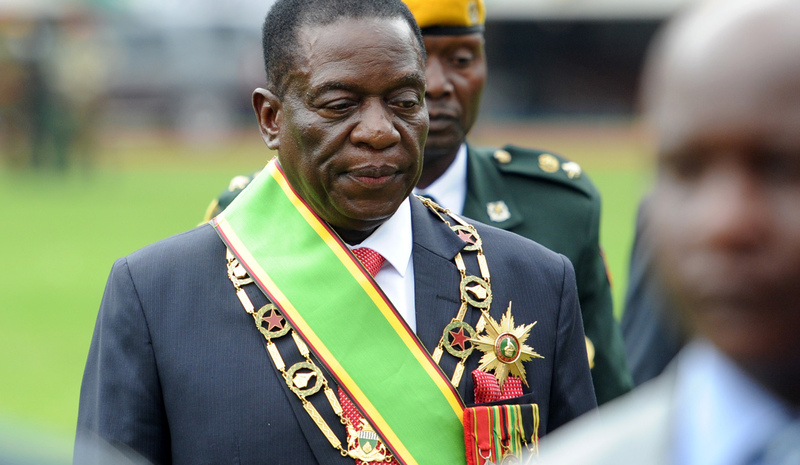 Zimbabwe’s interim President Emmerson Mnangagwa is set to abolish several government ministries which performed duplicated roles, but has promised skilled civil servants that they will not be fired. By MAYNARD MANYOWA. President Emmerson Mnangagwa has announced measures to cut Zimbabwe’s government costs. This was revealed during an inaugural meeting held between Mnangagwa and permanent secretaries of all ministries on Tuesday. Speaking to the key cogs of government, Mnangagwa told them he was in the process of setting up a new government which is lean. “I am currently in the process of putting together a new government structure which should essentially be leaner,” read part of his address, whose minutes were shown to the Khuluma Afrika investigative journalism centre. According to Mnangagwa, this would remove functional duplications and also contain unnecessary expenditure. Mnangagwa assured the permanent secretaries that no one would be laid off except people who had reached retirement age. Mnangagwa singled out the rebuilding of the economy and the improvement of livelihoods as “urgent and imperative matters”. “Our prime focus should be on the implementation of practical solutions to grow our economy, create jobs and boost incomes,” read part of the address. Mnangagwa warned that his government would not excuse “bureaucratic slothfulness which is quick to brandish procedures as an excuse for stalling service delivery. Our mantra should be peak performance, peak performance, peak performance,” he added. Since taking over power, Mnangagwa has introduced a number of measures which have seen people comparing him to Tanzania’s John Magafuli, who implemented several reforms and austerity measures when he come to power, aimed at cutting government expenditure. Mnangagwa opted out of a trip to Kenya, citing budget constraints and matters of economic importance that needed attention. His current cabinet has two ministers only, one for finance and one for foreign affairs. He has given criminals who externalised foreign currency and assets a 90-day grace period to return the loot or face the “pain of the long arm of the law”. Maynard Manyowa is a journalist with Khuluma Afrika.